While pointing the finger squarely at Apple, Finnish mobile phone maker Nokia has chosen to remove its Here Maps app from the App Store just over one year after the app's debut. When asked to explain the move, a Nokia spokesperson said only that the company had "made the decision to remove our HERE Maps app from the Apple App Store because recent changes to iOS 7 harm the user experience," according to the Indian Express, which was the first publication to notice the app's disappearance. Nokia's representative did not elaborate on exactly what changes the Scandinavian company's maps unit disagreed with. 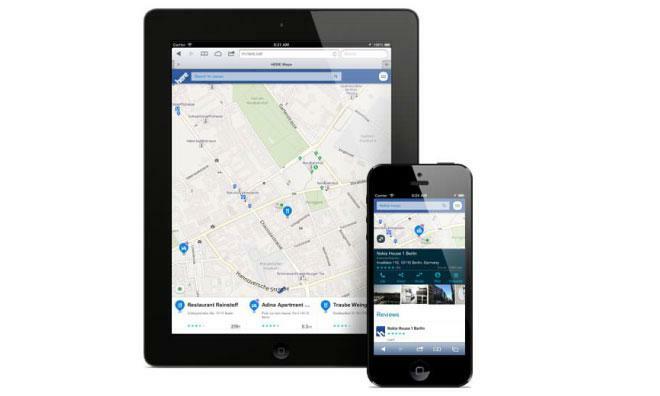 Users of Apple's iOS devices can still use the Here Maps service via their web browser, with search, routing, orientation, transit information all made available in the web interface free of charge. Here Maps first hit the App Store in November of last year in the turbulent aftermath of Apple's flawed in-house mapping service rollout. The app included offline caching, voice-guided navigation, and public transportation guidance. Then-Nokia CEO Stephen Elop heaped expectations on the service when announcing its expansion outside of Nokia's devices, saying that "with Here we [Nokia] can bring together Nokia's location offering to deliver people a better way to explore, discover and share their world." Despite the unexpected removal, Nokia's iOS mapping effort outlasted Elop —the executive moved to Microsoft in September of this year after the Redmond, Wash.-based company's acquisition of Nokia's hardware and services divisions. Here Maps was not included in the takeover and is now one of Nokia's largest remaining business units.